The first three models of the AVANT-GARDE collection, presented in October, have two layered dials, creating an illusion of depth and clarity reveals the architectural balance of its components. Glancing at the watch above the eye instantly covers all its contents: the upper portion of the transparent sapphire dial features a moving logo, luminescent hour and minute scale indices. In addition, its lower part is composed of translucent zones and elements of metal, plated with rhodium or rose gold. Located at the bottom, the base dial from the silvered opal or branded honeycomb further enhances the feeling of weightlessness. Luminescent numerals and indexes provide the perfect reading of the dial and enhance the 3D-effect of jumping hours, retrograde minute and small second’s hand. The collection consists of three models AVANT-GARDE - HLRS 01 - Rose gold, AVANT-GARDE - HLRS 02 - Blue and AVANT-GARDE - HLRS 03 - Orange Honeycomb. The model AVANT-GARDE - HLRS 01 - Rose gold has a case made of titanium, stainless steel bezel and bumpers with black DLC-coated crown and screws 4N 18K rose gold, base silvered opaline dial, black rubber strap with a folding clasp. The model AVANT-GARDE - HLRS 02 – Blue is staffed with a case made of titanium and stainless steel, polished steel bezel, silvered opaline dial and black rubber strap with a folding clasp. The model AVANT-GARDE - HLRS 03 - Orange Honeycomb has a case made of titanium and stainless steel, bezel and bumpers with black DLC-coated, dial in the form of honeycomb, black rubber strap with a folding clasp. Sapphire crystal with anti-reflective multilayer coating is placed on the top of the case and the backside, fixed with four screws. On the backside is engraved the inscription HAUTLENCE, Horlogerie Suisse and AVANT-GARDE. The novelties operate on the base of the manufacturing movement, assembled by 24 jewels, with a carrying frequency of 21,600 vibrations per hour and a 40-hour power reserve. Comprised of 180 components, the caliber is perfectly trimmed. Angles of the bridges are polished by hand. The watch water-resistant is 30 meters. To buy watches from the AVANT-GARDE collection will be available through the officials of Hautlence at a price of 32,000 Swiss francs. 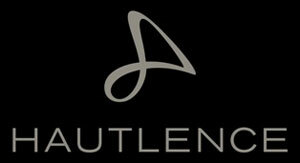 Official website of Hautlence watches.